Dear Sir/Madam, Your feedback is extremely valuable to us, we apologies for your inconvenience.I greatly appreciate your comments about aspects of the room that need updating. It is a pleasure to announce that we will be implementing many of these upgrades to the property within the next couple of months. I hope that I can convince you to change your mind about another visit to our property. if you would be willing to give us a chance to turn your experience around. It would be such a pleasure to personally welcome you back to our new and improved hotel Please feel free to reach out to me directly at [email] if you have additional information to share. Ideally located within very easy walking distance of New Delhi Railway Station & Metro.. Pahar Gany Bazaar 5- 6 mins walk away. Plenty of shops nearby. 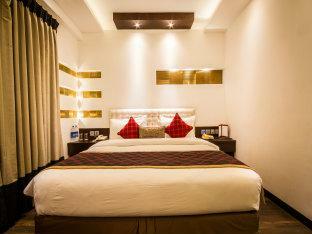 Safe & secure hotel with clean, well appointed rooms with reliable hot water supply. In house cafe. Staff & friendly & helpful & can arrange taxi's, money change & further travel arrangements. Have stayed here several times. The hotel is very good but I will never book this hotel again because of only one problem in this hotel i.e. room service and restaurant. Actually, there is no kitchen and restaurant and there is no room service, for breakfast you should go to the nearest hotel restaurant. This is feeling very embarrassing. So I am leaving this hotel at least until they start their own kitchen and restaurant. Thanks. 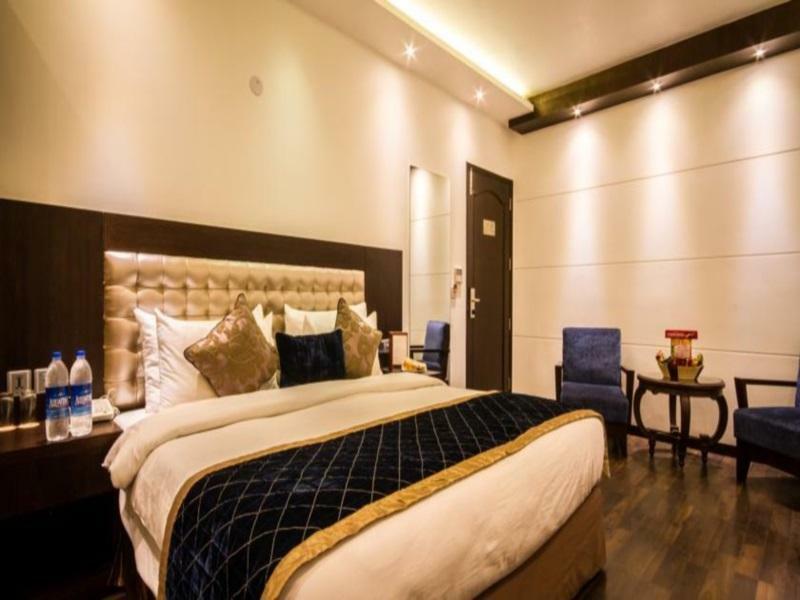 Excellent location if you are planning to use the train or want to get the vibe of New Delhi.I had been in Delhi before but this time it was a completely new experience. 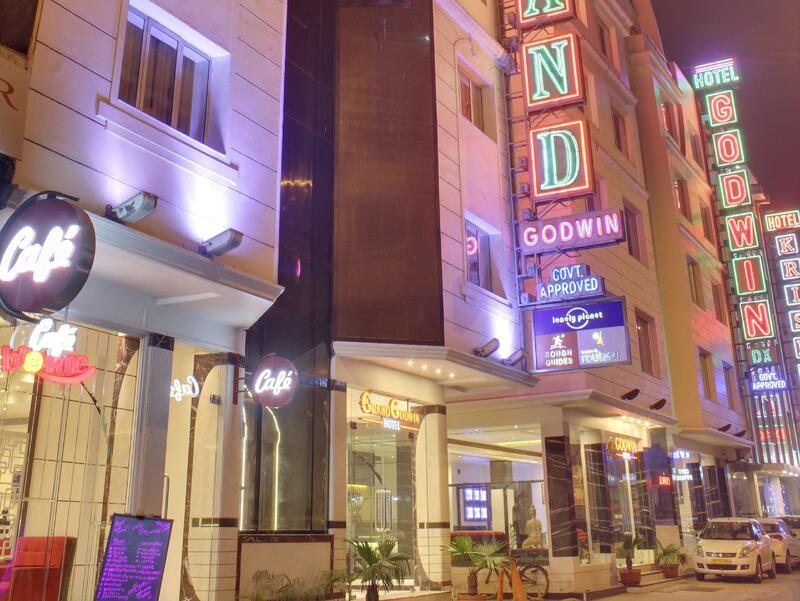 The area is full of brightly lighted hotels (all targeting foreign tourists). 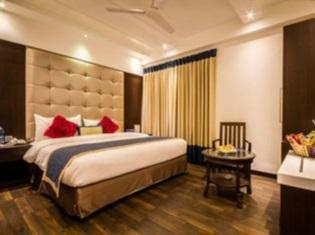 The hotel was really basic, but if you go to Delhi you don't need anything more than a bed and a shower. The breakfast was decent, even though the choices were limited and repeated. Still, the staff was really nice and helpful and tried to accommodate all our requests. The balcony at the roof by the restaurant offers a very safe option to chill out after a crazy day sightseeing in Delhi! We really enjoyed our short stay here! Although a few things got lost in translation we asked for one bed in a non smoking room however we got two single beds in a smoking room. However the attitude and helpfulness of the staff made up for it and given our stay of only one night it didn’t matter. We would recommend any foreign travel who have never visited New Delhi before to stay here given how helpful the staff are! Located right next to the train station, this is an excellent location. The staff was terrific and helpful. Recommend highly! Pros: Astounding property, at a reachable location, clean, user friendly, helping staff, Great for a family stay. Cons: Charged full amount for breakfast buffet even for a 4 year kid, No kids channel on tv, water was lukewarm & not hot in shower. The hotel was a great place to rest your head for the night, but it isn’t one to spend the whole day inside. Perfect for our group to take a quick refresh and then see the sights. Staff was very friendly and helpful in organizing tours. In short...don't book here. The most essential element that needs to be in a hotel is "cleanliness " which was no were to be found at this hotel. Room was very dusty, bed sheets old, towels outdated. Located at a very busy street. Not suitable for families with children at all. We stayed in an executive room. We booked our room with an extra bed. On arrival they only set up the room with a mattress on the floor. Upon asking they said they don't have a folding bed!! We paid extra for folding bed but ended up sleeping on the floor!! Breakfast buffet was ver limited and not up to any standard at all. Staff was ok. In conclusion we had a very unpleasant stay and will definitely not return here. สถานีรถไฟ New Delhi - ระยะ 0.67 กม.